A.R.T Pest Control is a leading provider of pest control services in the state of Florida. Our mission is to continue to be the best Pest Control services provider to the industry at a fair and reasonable price. We have accomplished this goal by delivering the best quality service and value to our customers. As the industry leader in pest control, we have the knowledge and experience to get rid of your unwanted visitors, regardless of the type of business you are operating. 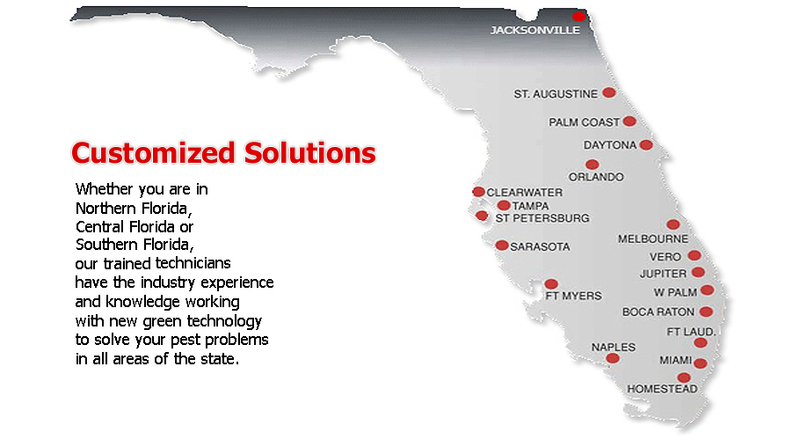 Our technicians can meet any challenges that our diversified client may face. Our experience has enabled us to provide services to any size portfolio without losing the individualized and personalized customer service that our clients want and deserve in the multi-housing industry as well as other commercial venues. The property management environment is vulnerable to infestation; pests can arrive with deliveries or enter along with employees and tenants. Your certified A.R.T. technician can develop a customized Integrated Pest Management program for your unique needs that is discreet, convenient, and works with your bottom line. We are the leaders because we are knowledgeable about pest's habits and biology. insecticide exposure, call the quick team at A.R.T. Pest Control.